Just three more letters left in the alphabet for my Star Wars ABC's. The X-Wing is the backbone of the Alliance's starfighter corps. A sturdy ship produced by Incom, the X-Wing is perfect for both long-range missions and hit-and-fade encounters. Unlike the Empire's TIE fighters, X-Wings are equipped with hyperdrives that give them a certain sense of autonomy. While housed by Alliance frigates, the starfighters can operate independently thanks to their long-range capabilities. While the X-Wing is maneuverable and fast, Imperial TIE fighters still have the edge in speed and agility. The Alliance's fighters, however, are equipped with shields, a feature that gives the X-Wing durability and endurance in a dogfight. 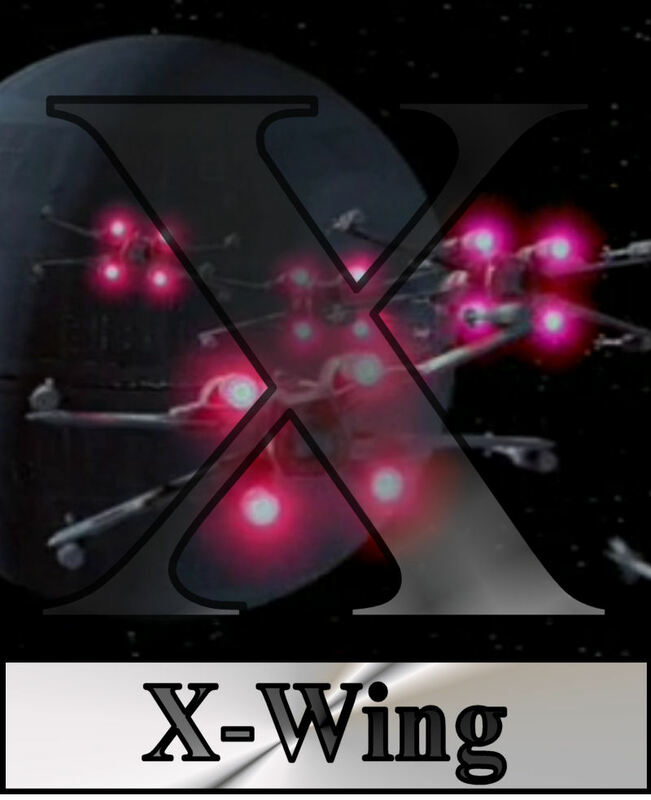 The X-Wing fighter is featured in every movie in the Original Trilogy. Pilots fly them during the assault on the Death Star in Star Wars, Luke uses his to fly to both Dagobah and Bespin in The Empire Strikes Back, and the venerable fighter is also instrumental in destroying the Second Death Star in Return of the Jedi. TOMORROW: Obvious the choice is for the letter Y.